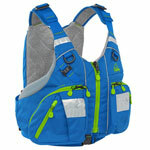 Wearing a Buoyancy Aid is always recommend for your personal safety and safety of others when canoeing or kayaking. Buoyancy Aids will provide floation while in the water, but also warmth. The buoyancy aids below are categorised into the most common types, view further details by following the links. Simple, Safe and great value buoyancy aids. For children & adults. Ideal usage with Sit on top kayaks, canoes and recreational kayaks. 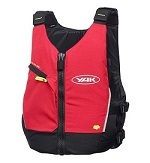 Touring & Sea Buoyancy aids are more technical and have more features. Front & Rear Pockets - More reflective detail - Shaped foam - Harder wearing fabrics - More flotation. 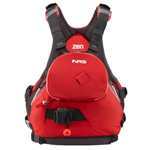 Designed for WW paddling with extra buoyancy for white water use. From simple entry level to Safety & Rescue PFDs.